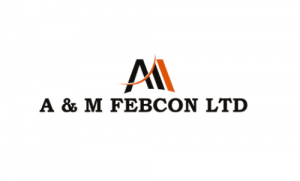 A&M Febcon is engaged in the services of engineering which is applied to the planning, designing and control of industrial operations and in the business of Industrial equipment and metal fabrication. Industrial equipment fabrication is the most complex out of the three i.e. structural, commercial and industrial which is used primarily to develop industrial machinery. Our equipments and machineries are manufactured through industrial fabrication that include boilers, storage tanks, heat exchangers, columns, and towers etc, collectively called as process plant equipments. These process plant equipments are widely used in petrochemical plants, oil and gas refinery, metal industry, cement plants, pulp & paper manufacturing plants etc. Our manufacturing unit is established at village endala, B/h Bhagvati Vidhyalay, SBI- Endala, Branch Road, Tal-Mandal, Ahmedabad. We believe that our unit is well equipped with quality assurance equipments and have our in house facilities in order to serve various range of products. Among heavy equipment manufacturer's process plant equipment manufacturers is one of the major consumers of fabricated metal products. A&M Febcon IPO allotment status is now available on Karvy Computershare’s website. Click on this link to get allotment status. You can also check allotment status using application number on this link.